3) Select the Party that the Q will be tied to. 4.) You can do one of two options. And then Review the Planner--Making any changes needed. 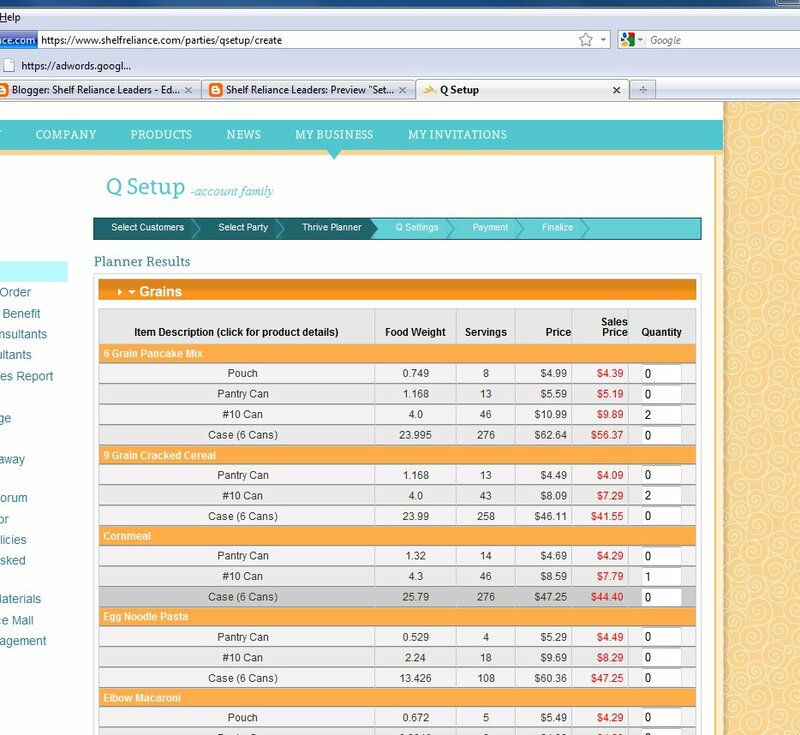 When you press next it will move all the products to the Q. 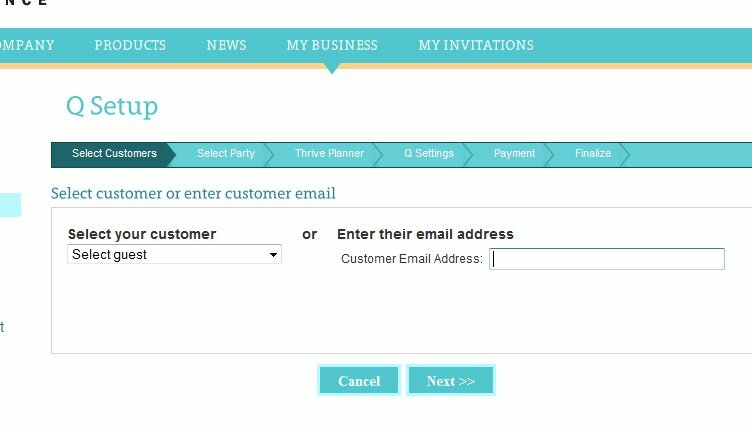 THRIVE Planner: I like to have party customers “go on a shopping spree” I give customers who are signing up for the Q a new price list and have them mark everything they want in their Q, and the quantities they would like. 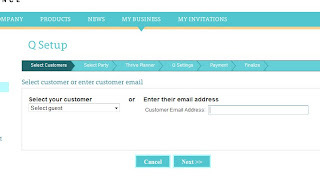 Then I bypass the planner and just enter exactly what the customer wants. However there are times when the planner is good. You can set up a generic Planner based on the family member the customer gave you or you can call the customer and customize it over the phone. 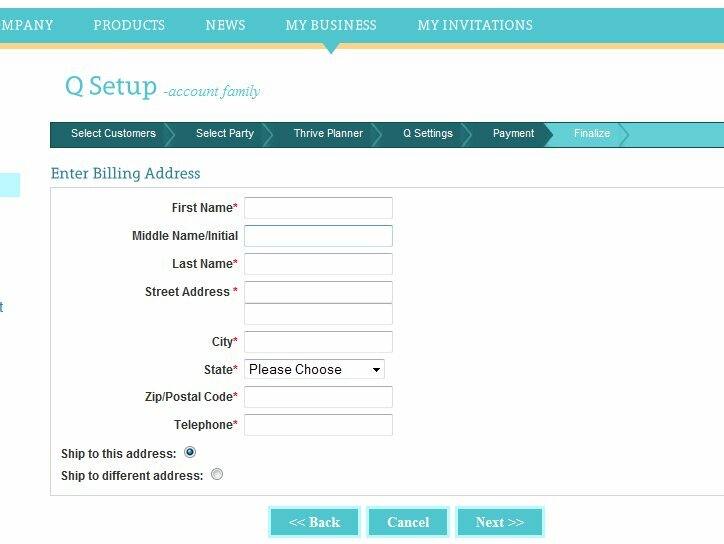 If you are setting up a planner here are a few tips. I suggest going through the Planner and adding a good variety of foods. 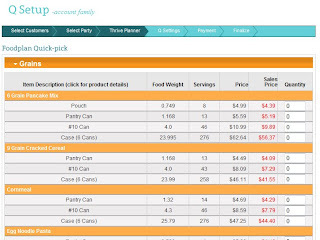 Option #2 Choose the Thrive Quick Picks, and then enter the items the customer wants. 4. 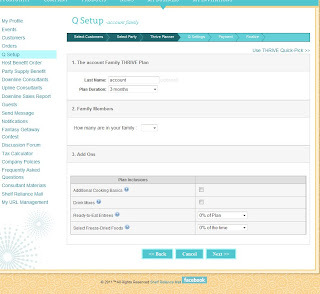 Enter the Q Plan settings. 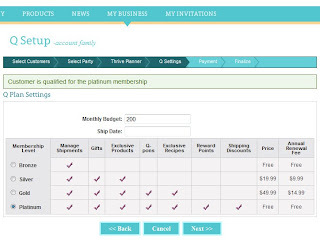 This includes the montly budget the ship date and the Q club membership level. The customers budget. A customer can use any budget they want. (yes it can be below $50.00). 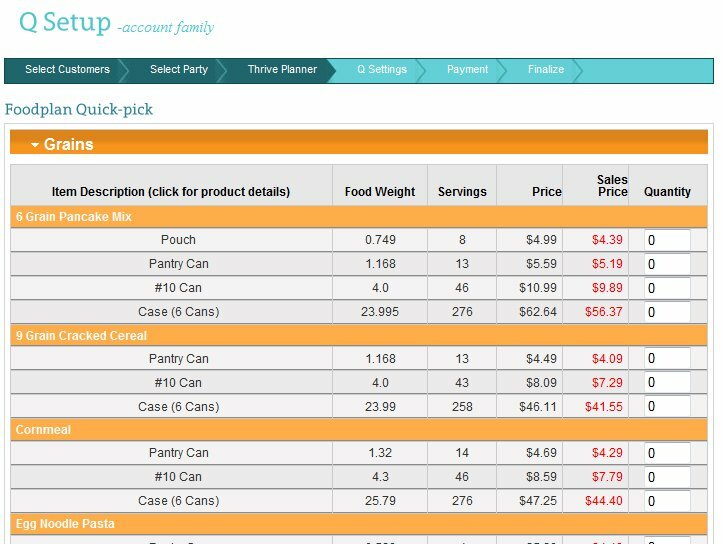 I strive to have all Qs set up at $100.00 this allow customers to really build their food storage and to receive the platinum membership in the Q club for free. I suggest getting the platinum membership and then buying what is on the Q-pon for that month. 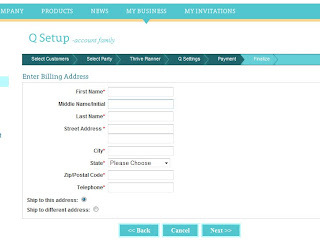 This way the customer maximizes their savings. The ship date (the same every month). 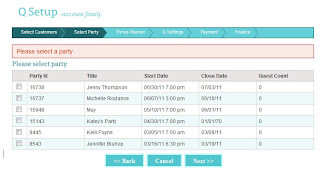 I encourage customers to choose a date that they will easily be able to remember, like their birthday or anniversary. Do not choose: the 15th, it bogged down at SR with this date. Do not choose the 1st of the month, because price list changes and customer won’t have time to look it over before the Q is submitted. Do not choose the 31st as there are a lot of months that don’t have a 31st in them. The Q club: Choose Bronze for everyone and computer will upgrade to Platinum when Q goes through and qualifies. 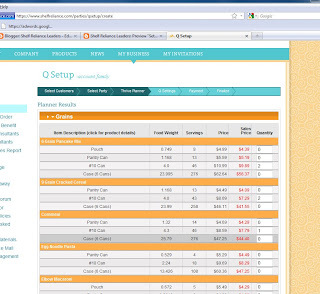 · PAUSE Q and restart as a Platinum: pay the $19.99 yearly fee. 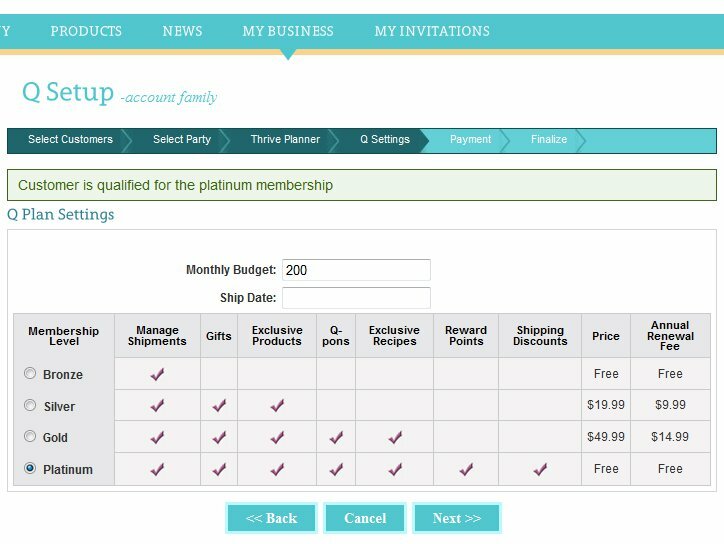 · STOP the Q and start up as a Platinum: pay the $79.99 enrollment fee and $19.99 yearly. · They can always start up again as a Bronze and pay nothing. 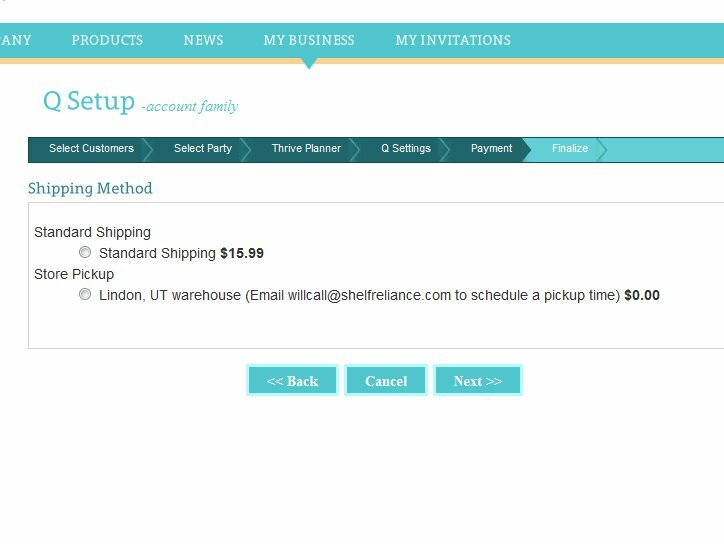 Customers will now receive a reminder e-­‐mail from SR that their Q will ship and what is in their shipment – this is GREAT! If it shows that the Q is active, but has no ship date, this means that the Q will go out in the following month. 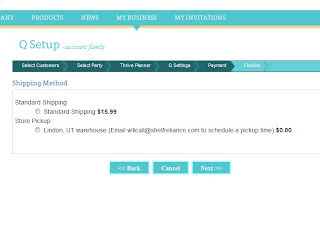 Only active Qs with current month’s ship date will show date on Q Customer page. 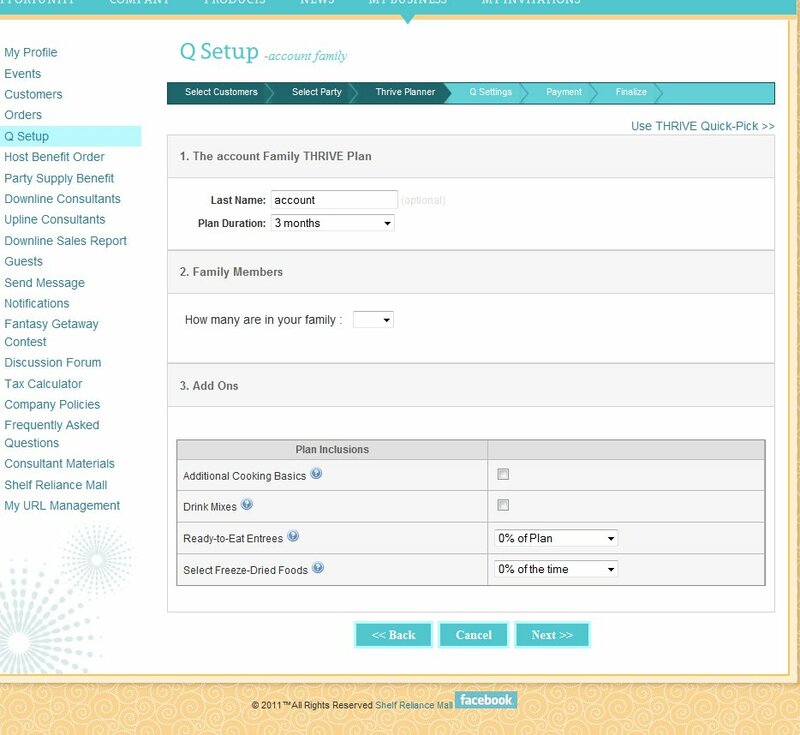 Customers are required to keep the same ship date and for 3 months on the Q, after that they have flexibility to change their Q Settings. Qs need to remain active for a minimum of 3 months make sure there is enough product in their Q to go for at least 3 months. I like to have enough in their Q to go for 1 year. Much of this is based on Becky Powell’s New Consultant Training Notes. I have shared it with her permission and added my thoughts and images.